The Palmes d’Or winner died of complications related to cancer. 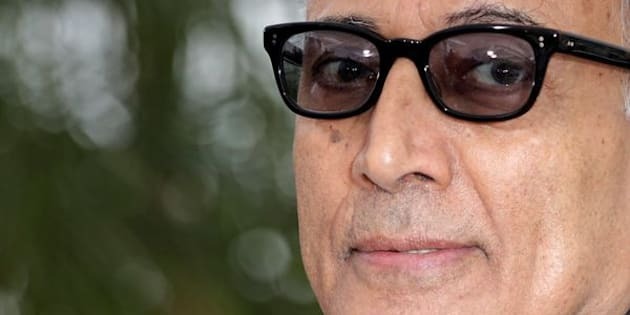 BEIRUT (Reuters) - Abbas Kiarostami, the writer-director who showed that Iranian cinema was one of the most original and emotionally engaging in the world, died in Paris on Monday from complications related to cancer, according to Iranian state media. He was 76. Part of a new wave of Iranian cinema that started in the 1960s and known for realist stories focused on the lives of ordinary people, Kiarostami was one of the few film makers to stay and prosper in Iran after the 1979 Islamic revolution. Despite their very local, Iranian themes, his movies struck a chord with global audiences, and Kiarostami won the Palmes d’Or at Cannes in 1997 for "Taste of Cherry", about a middle-aged Iranian man planning to commit suicide and looking for someone to bury him when he is dead. "What is peculiar about his art is that he’s both a rootedly Iranian artist in terms of his landscape, his urban sensibilities, his cinematography," said Hamid Dabashi, a professor of Iranian Studies at New York's Columbia University. "But he’s also managed to raise those Iranian aspects to moments of universality." American director Martin Scorsese said of his work: "Kiarostami represents the highest level of artistry in the cinema." Born in Tehran in 1940, Kiarostami studied at the School of Fine Arts at Tehran University. His first foray into video was making commercials for Iranian TV. After the 1979 revolution that ousted Iran's monarchy and ushered in an Islamist system of government, Kiarostami chose to stay while many artists and writers fled the country. His own films, which often centered around children or poorer Iranians living in rural areas, were never seen as overtly political, but some of the screenplays he wrote for his protege Jafar Panahi were. Panahi's 2003 movie "Crimson Gold", the tragi-comic portrayal of a pizza delivery man humiliated by his lowly social position in Tehran, a city divided by class and money, was seen as critical of the Islamic Republic and was banned in Iran. Kiarostami leaves two sons, Ahmad and Bahman.